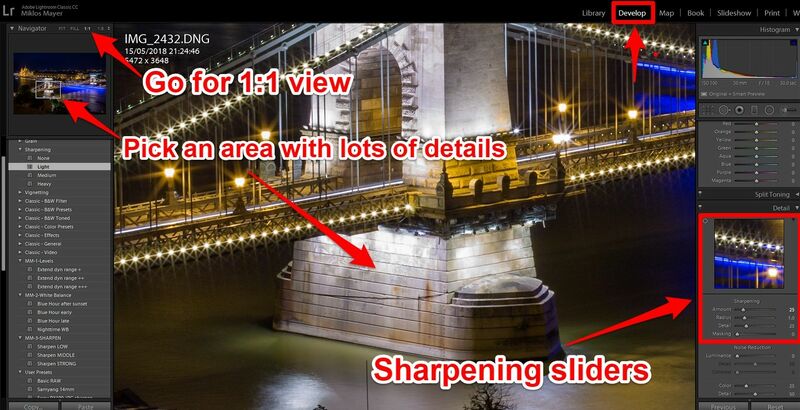 Advanced sharpening in Adobe Lightroom (make the images pop!) - I will be your photo guide! 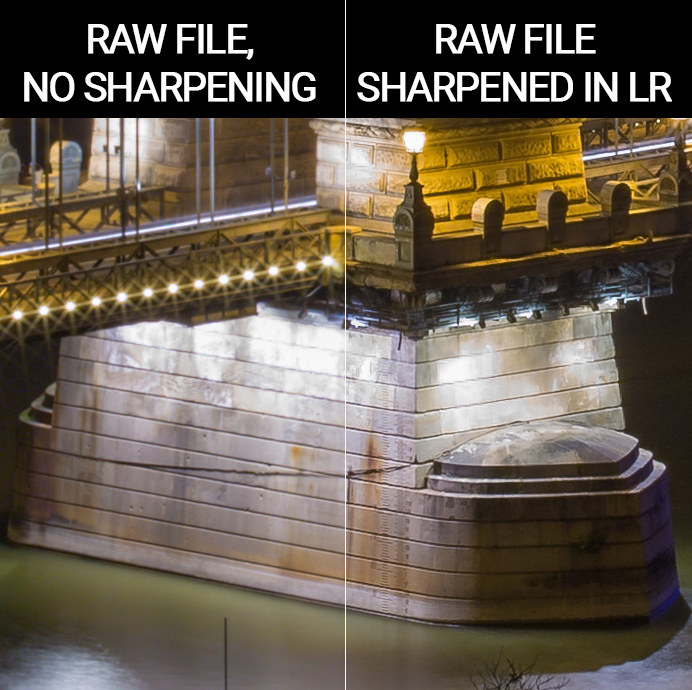 You may know that RAW files are inherently soft, as the camera applies no sharpening at all. Everything has to be done in post process. 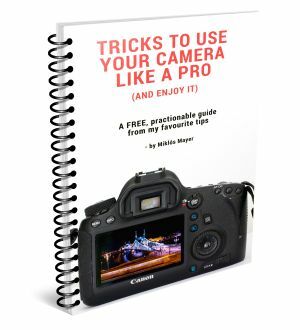 I use Adobe Lightroom all the time, so I’m going to show you that (no matter if you use the CC or Classic version). 3 What about the other sliders, Radius and Detail? This is the sharpening tab in Lightroom’s Develop module, with 4 different sharpening sliders. When setting the sharpness always look at the picture in 1:1 view (100%). This way each pixel on the picture corresponds to one pixel on your screen. 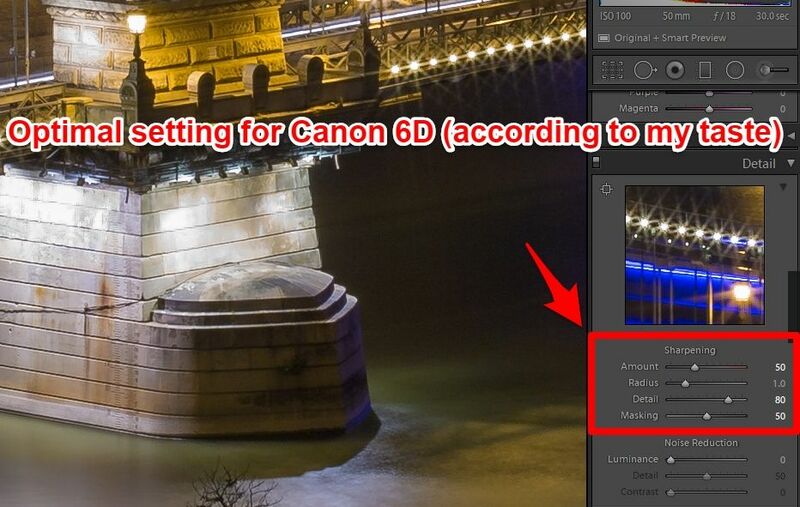 What most people do is that they just apply the basic LR sharpening. And if they want to get sharper, they just increase the Amount slider. The problem with using the Amount slider only is that as you crank it up, noise will start appearing in homogenous areas of the image. Press and hold the ALT key while changing the Masking slider, and you’ll see what it does (this ALT key trick works with every slider, BTW). 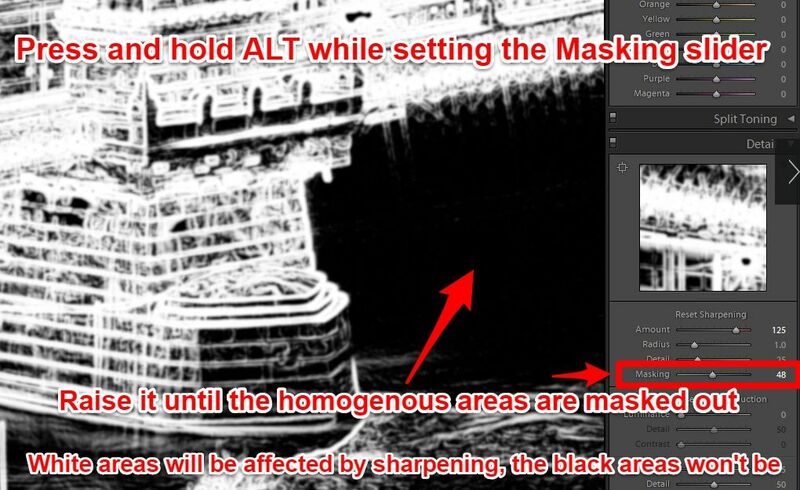 It will mask out homogenous areas, so that they will be not affected by sharpening (the black areas are NOT sharpened, only the white ones). This is exactly what we want now. The goal is to mask out the blue / black şkies or the blurry backgrounds. After all, why would we sharpen the blue sky? So these areas should be black when tweaking the Masking slider (black means that sharpening is NOT applied there). In this case I set a value around 50. What about the other sliders, Radius and Detail? Yes, I’ve deliberately jumped through the Radius and Detail slider. For Radius, leave it on put 1 pixel, and for Details, well, it’s absolutely your taste. My recommendation is that sharpening should never be overdone. After all, this is just a mathematical tweaking with the pixels, and as such it introduces artifacts into the picture. 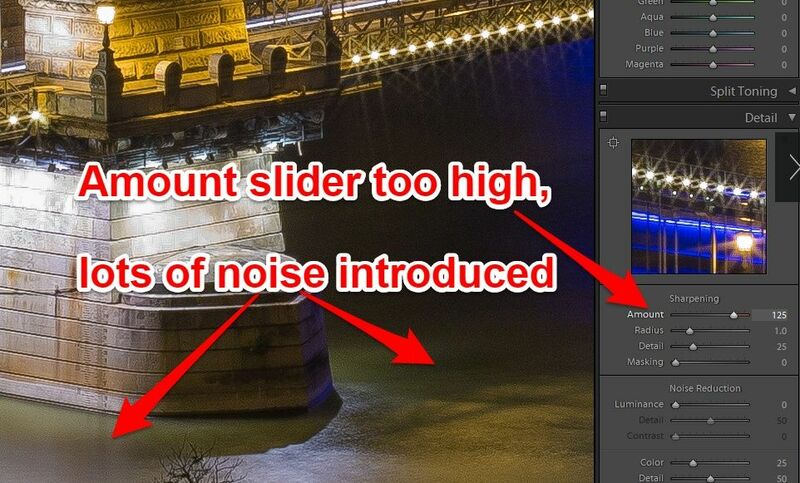 If you’d like to know what exactly these slider mathematically mean, I highly recommend you check out Cambridge in Colour’s article on sharpness. Now let’s save these settings, so that you can apply them with a single click, or apply it upon Importing. 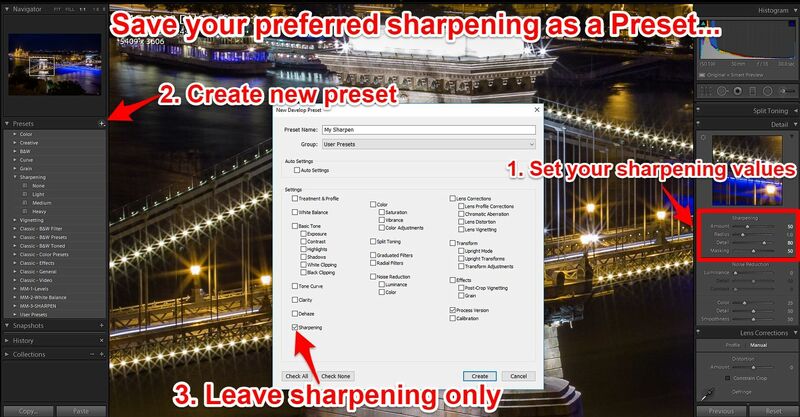 Just apply the sharpening settings you want to save, click on new preset, uncheck all the boxes but the Sharpening, and name it. Voilá! Now, you have your own sharpening preset (I have 3 of them, with different values). We’re not done yet… Time to export the picture! 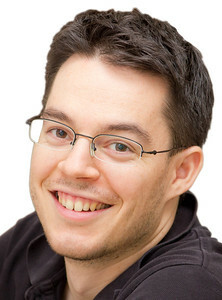 For example they want to upload their pic to Facebook, so they resize it to 1800px wide. But they forget to sharpen it again. 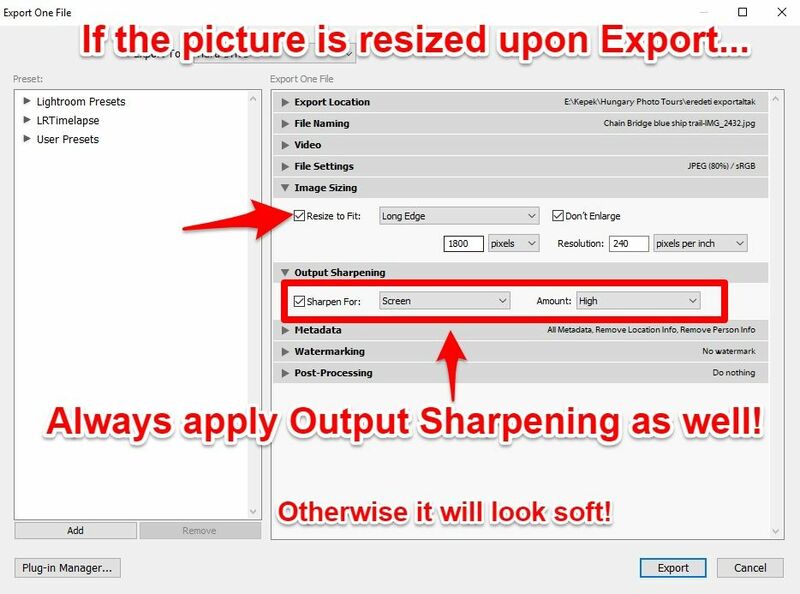 Becase sharpening has to be applied again on the resized image! Luckily the Export panel in Lightroom makes this step simple. 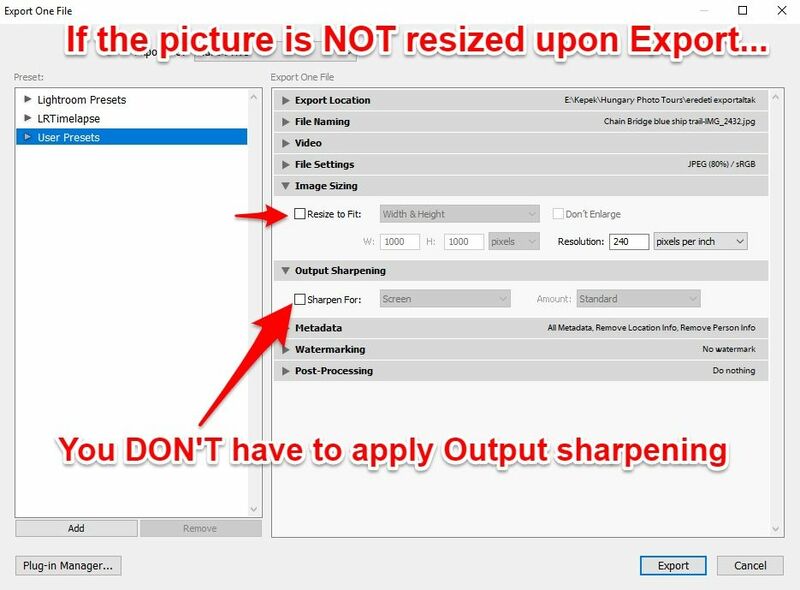 Just enable Output sharpening, and select Screen, and pick the amount. I like to go for High. Enjoy the crispy clear images in your social media feed! Which is the slider that was new to you? Tell me in the comments! 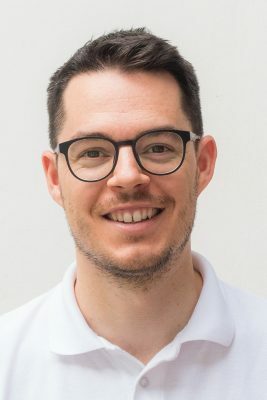 Previous Post: « Smugmug review in 2019: why I love it as a photo sharing site after 10 years of using it?